Key Difference: A procession refers to a number of people getting together and walking or moving ahead in an ordered manner. 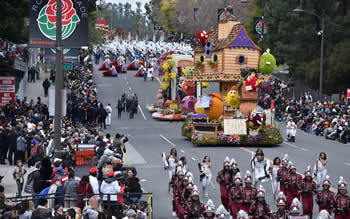 A parade is like a moving party, it is a celebration of a special day or event. A rally is usually held to make a political protest or to show support for a cause. It is commonly for or against something thing or someone. Procession, Parade and Rally are three different types of events, which are often confused together. While at first glance they may look similar, they are in fact very different from each other, and can be easily told apart. All three, procession, parade and rally require people to gather in large group for a specific function. In this manner, all three are similar, however, they differ in their purpose and for which they require the people to get together. A procession refers to a number of people getting together and walking or moving ahead in an ordered manner. 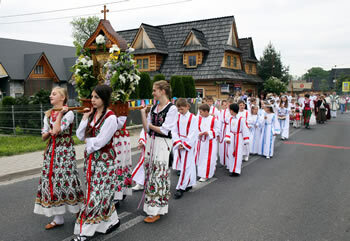 The term is often used in the context of religion, such as a church procession, or a funeral procession. The term may be used outside of a religious context, however, this kind of usage is uncommon. The mood in a procession is usually somber, serious, and grave. A parade, on the other hand, is something completely different. A parade is like a moving party, it is a celebration of a special day or event, not that most people need a reason to party. Think of the New Orleans Mardi Gras parade, which include music, costumes, dancing, etc. A rally is different from both of these things. 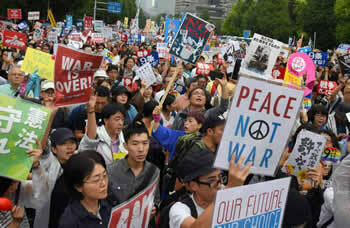 A rally is usually held to make a political protest or to show support for a cause. It is commonly for or against something thing or someone. Think of the Woman’s March where rallies were held around the world. A rally usually has political undertones, and may even have religious undertones, as a person’s religion often plays a part in their political beliefs. Rallies are also often called demonstrations and non-violent protests. A number of people or vehicles moving forward in an orderly fashion, especially as part of a ceremony. A public procession, especially one celebrating a special day or event. A mass meeting of people making a political protest or showing support for a cause. Late Old English, via Old French from Latin aradere(n-), from aradere ‘move forward’ (see proceed). Mid-17th century: from French, literally ‘a showing’, from Spanish arade and Italian parata, based on Latin parare ‘prepare, furnish’. Early 17th century (in the sense ‘bring together again’): from French rallier, from re- ‘again’ + allier ‘to ally’. Demonstration, usually for political or religious beliefs.